A BIG Thank You to BSM’s Volunteers! Broad Street Ministry is celebrating National Volunteer Week, April 21-27 with all of our volunteers. 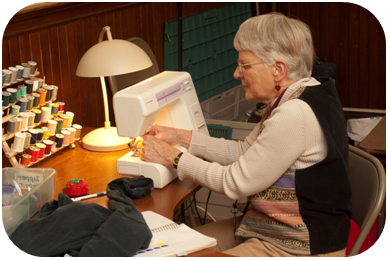 At BSM, we are reminded daily that our work is not complete without caring volunteers. We have been very fortunate to find individuals like YOU to be a part of our work at BSM. On behalf of the entire staff and all our guests, we say THANK YOU! Thank you for being here weekly, monthly, or just when you can. Thanks you for being welcoming to everyone who walks through our doors. Thank you for being so attentive to everyone during your time as a volunteer. Thank you for helping us create a community of hospitality. Lastly, thank you for giving your time and being dedicated to BSM! You are hope and inspiration to our guests, and the beautiful, awesome threads that hold BSM together. If you are interested in volunteering, please get in touch with our Volunteer and Development Manager, Melissa DeFreece, at 215-735-4847×16 or volunteer@broadstreetministry.org.